Our neighbors to the north, we love you. (Especially your gorgeous mountain landscapes, which Whole30 hiking aficionados Melissa and Jen rank among their most favorite hikes in the world.) Throughout the years, our U.S.-based team has supported your Whole30 efforts as best we can, knowing you don’t have access to many of the Whole30 Approved and compliant convenience items we can get just across the border. 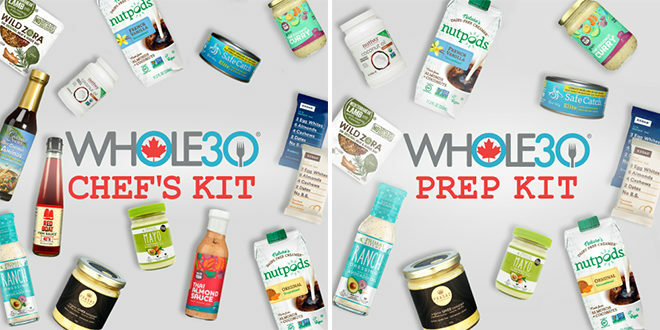 Whole30 Approved kits at two different price points, to help you stock your pantry for your next Whole30: The Prep Kit and The Chef Kit. 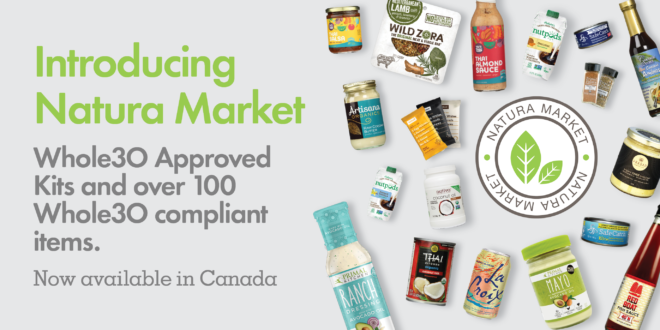 SIX Pages of Whole30 Approved and compliant items, including some of your favorite brands like Primal Kitchen, Safe Catch, Primal Palate, nutpods, Yai’s Thai, Red Boat, Wild Zora, Sea Snax, RXBAR, and more. A streamlined process that allows them to bring American brands over to Canada, meaning they’ll continue to acquire more Whole30 Approved and compliant items. Yay! Oh, and FREE SHIPPING on orders over $49. Some of the links in this post are affiliate links, meaning we make a small commission on purchases made via the link. Thank you for supporting our Whole30 partners.